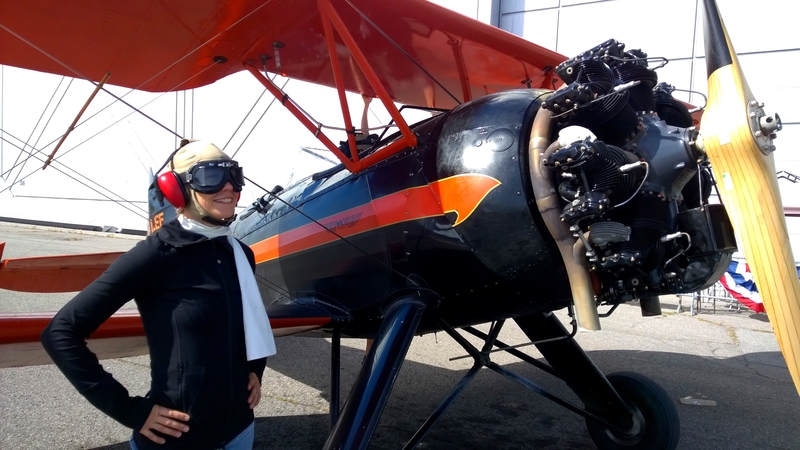 Flying In A 1930’s Biplane! I have to admit, fall is my favorite time of year. Living in eastern Canada during this changing of the seasons means cooler temperatures, sunny days and beautiful fall colors. Oh and the most important thing of all, my birthday! 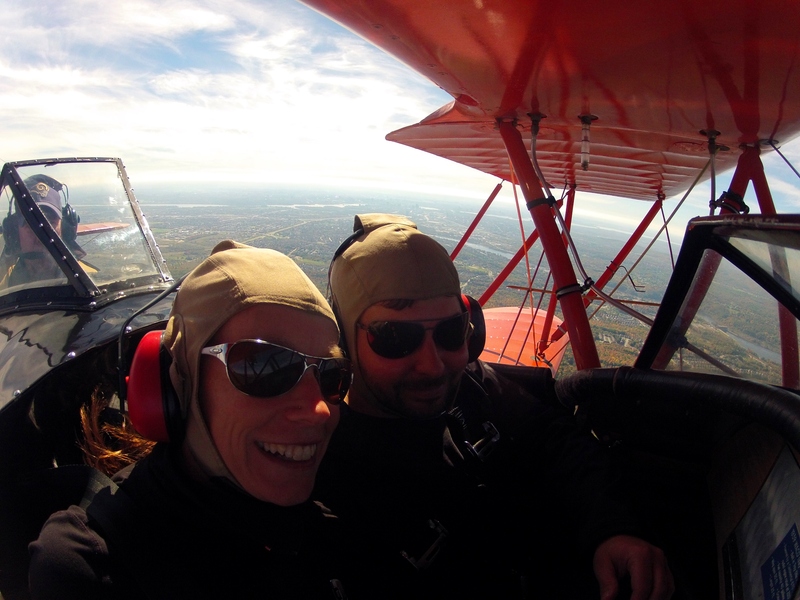 A few weeks ago my boyfriend K surprised me with an early b-day present: taking a biplane ride over the colorful Gatineau Park and Parliament Hill (he’s so thoughtful!). I’d been bugging him to do this flight with me all summer long but as it usually happens with summer, we simply ran out of time. Thinking I’d have to wait until next year, K scheduled us in for the last weekend of September at the peak of the fall colors. 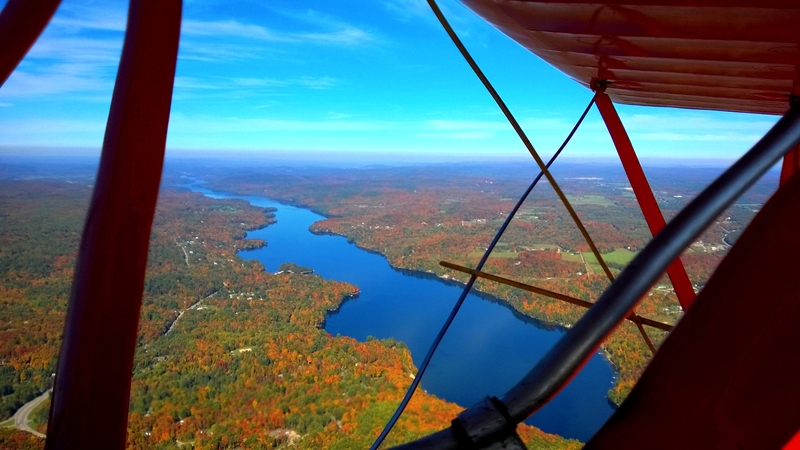 He’d secretly been hoping we’d wait until this time of year to do the flight anyways, thinking it’d be much more spectacular to see the Gatineaus while they were alight with bright hues of reds, oranges, and yellows. I have to say, he timed it perfectly! 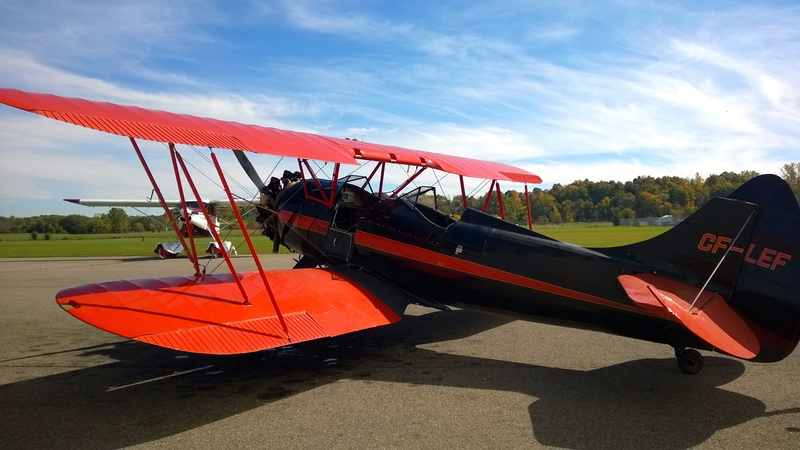 So one bright and sunny day we set off to the Rockcliffe Airport at the Canada Aviation and Space Museum in Ottawa, to catch a flight in 1930’s biplane. 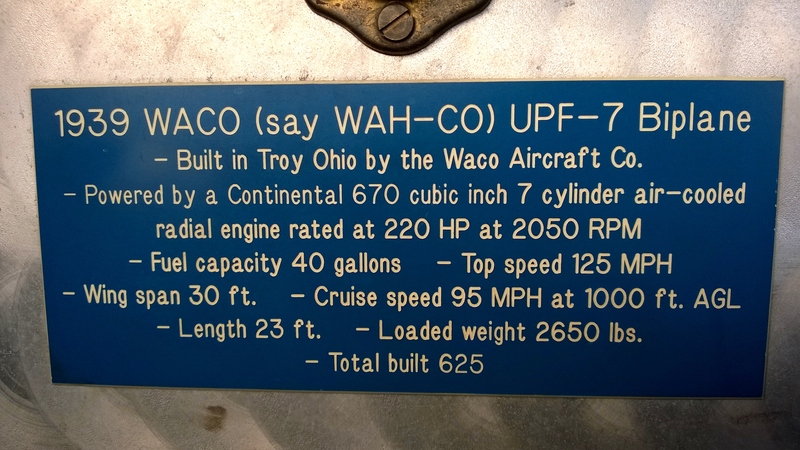 The one we were flying in was built in 1939 and was No.5 off the production line (though we were assured that updates had been made to the plane since then!). They had a variety of flight packages to choose from based on the length of the flight and what you wanted to see. K decided that if we’re going up in a biplane once, we’re going to do it right and choose the longest flying time of 35 min. 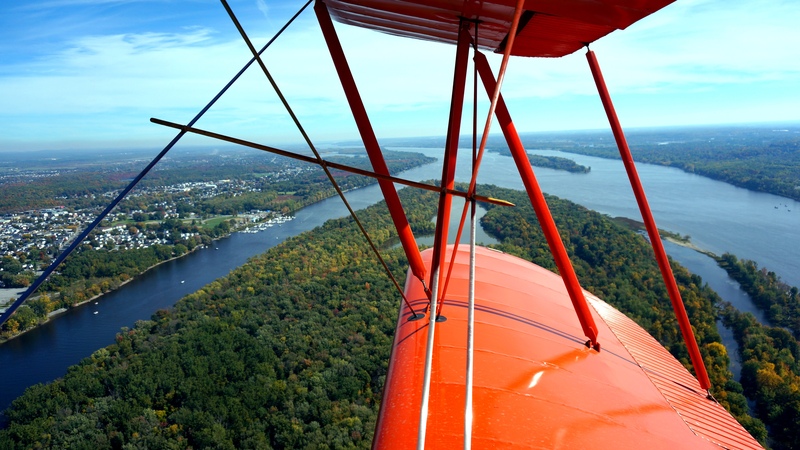 This tour would take us north, following the Gatineau River up to the Chelsea Dam, then west over the stunning Gatineau Park, including the popular Champlain Lookout. After this we’d head south to downtown Ottawa and fly over the Parliament buildings before traveling east back to the airport. I was a bit excited to say the least! When we arrived, we were given hats, goggles and a pair of noise canceling headphones to wear for the flight. Part function, part costume, we had to take a few pictures in these outfits (they even had a white scarf to photos!) before taking to the skies. Buckled into a small seat beside K with our pilot in a separate cockpit behind us, we wasted no time and within minutes were in the air! 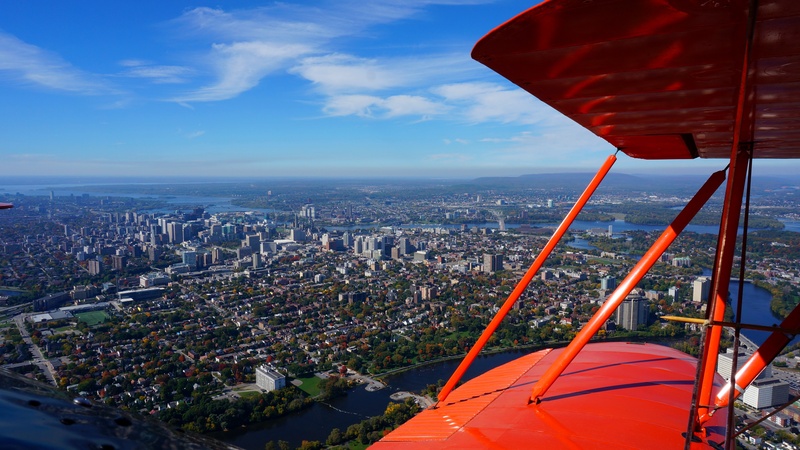 Gaining altitude quickly, I looked down and saw the Ottawa River below us and the colorful tree tops of the Gatineau’s in the distance. 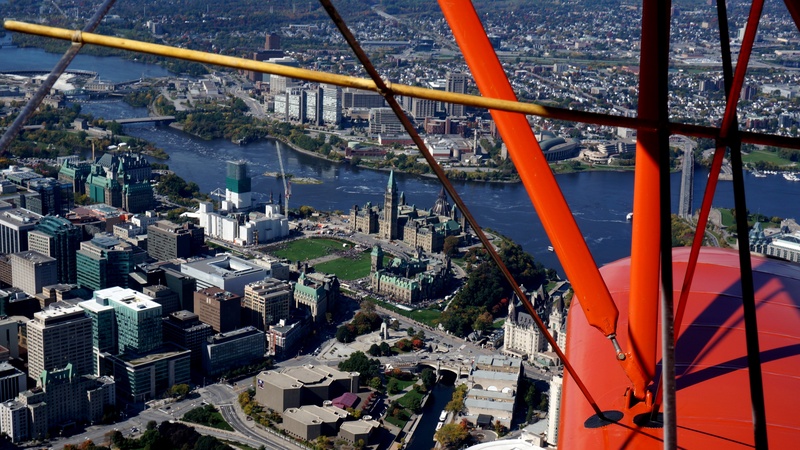 Looking east as we fly over the Ottawa River. Soon we were flying over the Chelsea Dam and could see the Gatineau River stretching out in the distance. As we were enjoying the view, our pilot did a few hard turns, dipping us almost to the vertical, left then right. I’ll admit, I grabbed into the bar in front of me like I was on a roller coaster, because the only thing holding me in was a little harness! Looking at the Chelsea Dam as the Gatineau River flows south towards the Ottawa River. 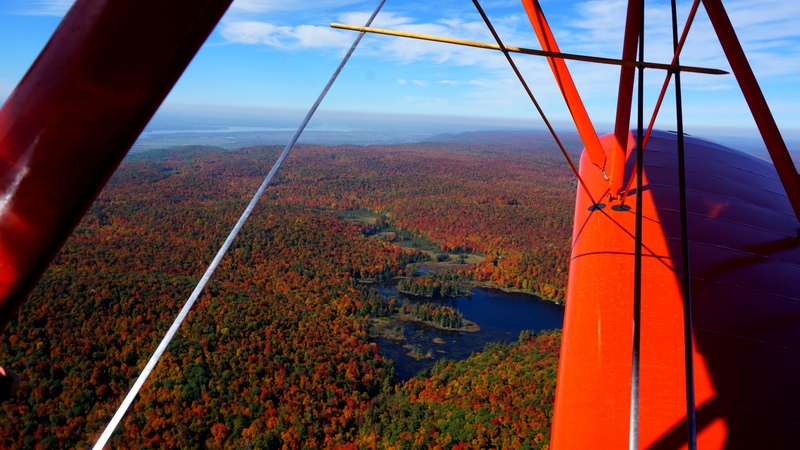 We flew over the local ski hill (Camp Fortune) and continued on over the very colorful Gatineau Park. Gatineau River looking to the north. Next we turned south heading for downtown Ottawa and I could see the Parliament buildings in the distance. It was easy to pick out local landmarks as we weren’t flying too high. All too soon, we were heading back to the airport. K and I would have been happy to do a few more passes over the beautiful countryside but our pilot vetoed the idea, as he had other clients waiting for their turn to soar in the skies. I have to say this was one of the best birthday gifts I’ve received (where did I find this amazing guy?!). But wait, that’s not all! K was filming the whole thing with his GoPro and made an amazing video for me! I hope you enjoy it as much as I did! 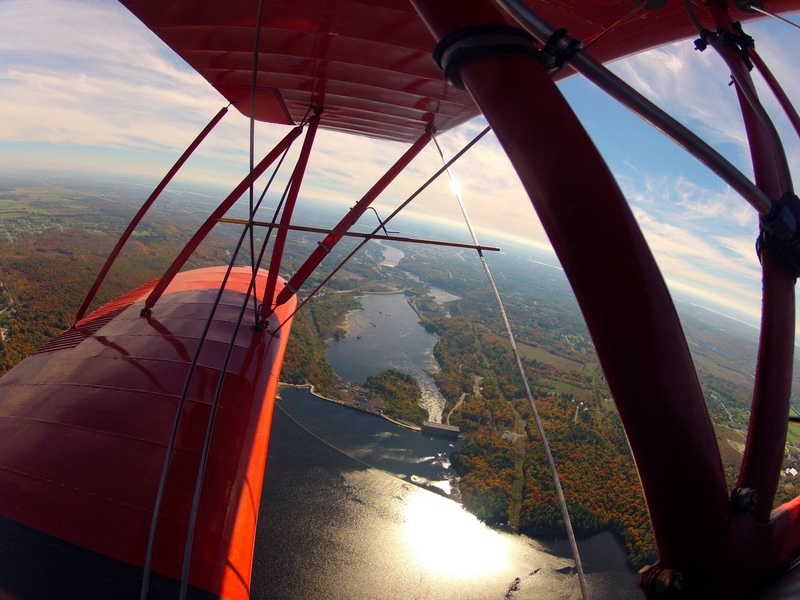 Biplane Fall Colours Tour of Ottawa Canada – GOPRO HD from Adventure JaK on Vimeo.